Every 12 seconds another school-age child experiments with illicit drugs for the first time—a grim reminder of just how pervasive drug abuse is among young people. 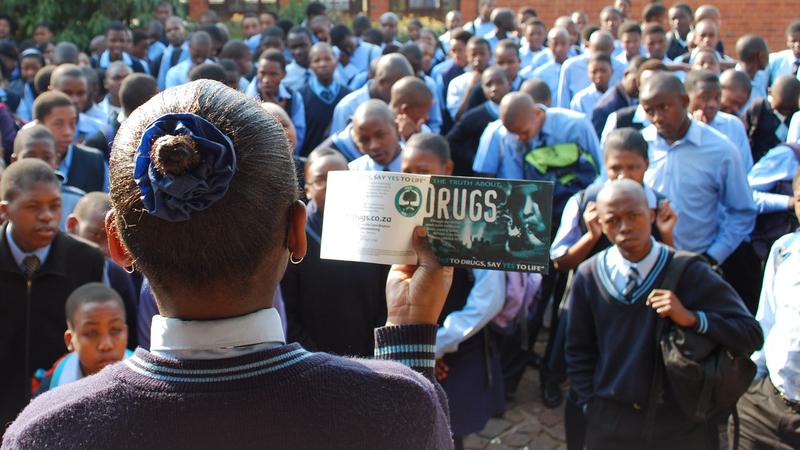 To combat this epidemic, the Church of Scientology sponsors the largest non-governmental anti-drug information and prevention campaign on Earth. It has been conclusively proven that when young people are provided with the truth about drugs—factual information on what drugs are and what they do—usage rates commensurately drop. By statistical survey, the Drug-Free World campaign has thus far prevented some 500,000 young people from recreational drug use—or worse. There is still, however, much more to be done. Mr. Miscavige's original initiative included a guarantee that the campaign’s educational components be available, free of charge, to all who request them. Thus, the Church of Scientology offers the publications (which neither contain nor advocate any Scientology beliefs) to like-minded anti-drug coalitions, government institutions, civic groups and schools. These materials include The Truth About Drugs series of 13 educational booklets—covering the major “drugs of choice” and presented in a straightforward manner to educate young people on the actual effects of drugs. There is also a study guide, activities manual and an educator’s classroom kit. These materials provide teachers, law enforcement and community groups with effective tools to educate youth and enable them to make correct decisions about drugs. Finally, there is the newly released 90-minute documentary to accompany and complement The Truth About Drugs booklets. Each video chapter offers an in-depth look at an individual drug, as told by those who survived addiction. In all, the Drug-Free World campaign represents an enormous stride toward raising a generation who will remain free from the ravages of drug abuse.